WASHINGTON, D.C. -- Today, the Louisiana Marriage and Conscience Act failed to pass through the House Civil Law and Procedure Committee. This evening at 5:05 p.m. 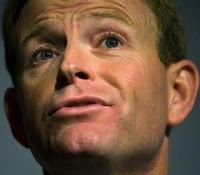 ET, Governor Bobby Jindal will appear on Washington Watch with Tony Perkins to react to the committee vote. Listen online at www.tonyperkins.com. "These ten legislators voted today against freedom and against two-thirds of Louisianans who support the Marriage and Conscience Act. 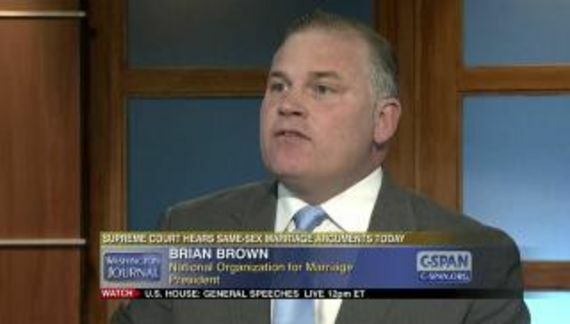 "These elected leaders effectively endorsed government discrimination against individuals and nonprofits simply for believing in marriage between a man and a woman. No person or nonprofit should lose tax exempt status, face disqualification, lose a professional license or be punished by the government simply for believing what President Obama believed just three years ago, that marriage is the union of a man and a woman. "Astonishingly, Chairman Neil Abramson admitted that he wasn't looking for the truth of what the bill accomplishes. He deliberately called for the vote based on the Left's intentional misrepresentations and distortions and his willingness to accept that those distortions should determine the outcome of the debate. This is a failure of leadership and goes to the heart of what's wrong with American politics today. Lawmakers have a duty to vote for legislation based on what's in the best interest of society -- not based upon public perception shaped by known falsehoods. "We thank Governor Jindal for his leadership on this bill and call on him to use the power of his office to ensure that Louisianans remain free to follow their beliefs about marriage without fear of retaliation by the government," concluded Perkins. Yesterday, Family Research Council (FRC) and the Louisiana Family Forum Action released the results of a commissioned survey conducted by WPA Opinion Research showing that more than two-thirds (67%) of likely Louisiana voters support the Louisiana Marriage and Conscience Act. Sixty percent (60%) of participants agreed they were more likely to re-elect a legislator who supported the bill authored by Rep. Mike Johnson (R-Benton). They voted against freedom. Yes, I know just how difficult it is to be a white-Christian-heterosexual-male. Jindal enables them to follow their beliefs without fear of retaliation? Even for Perkins that hyperbole is a bit over the top. WPA Opinion Research is one of the right wing's favorite pollsters. Funny how they always seem to get the desired result.